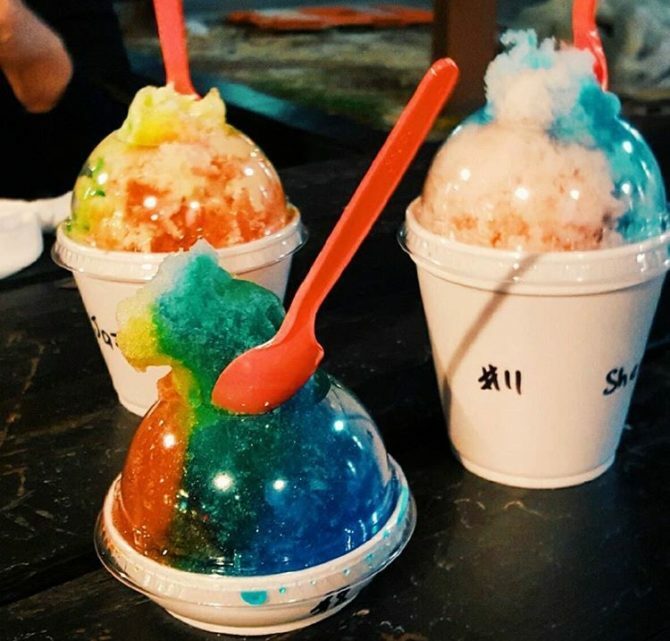 Does Los Angeles do the most when it comes to frozen treats? Yes, yes it does. You can always count on the city to offer exceptionally interesting flavors and combinations. So many treats to eat, so little time. How do you pick which to try? Here are 18 of LA’s best to at least get you started. 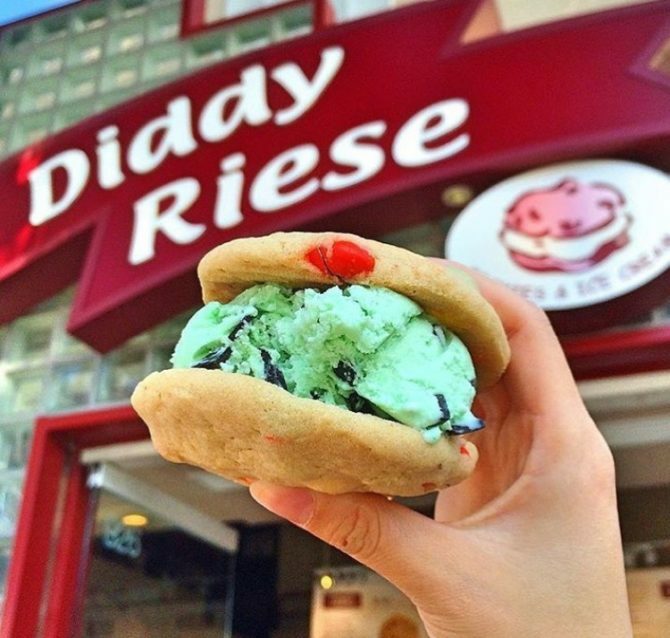 With a large selection of dairy-free and gluten free options, The Bigg Chill is an LA fave. 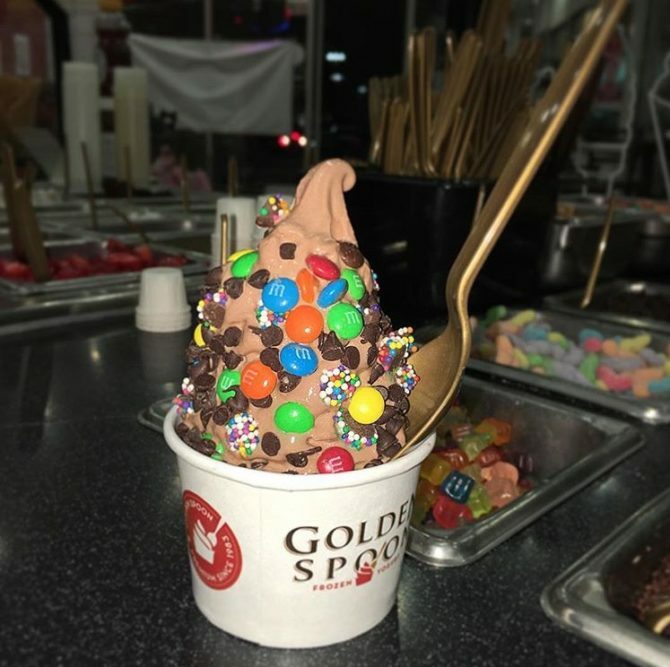 But with great variety comes great responsibility; know the best and worse FroYo combos before you get to the counter. 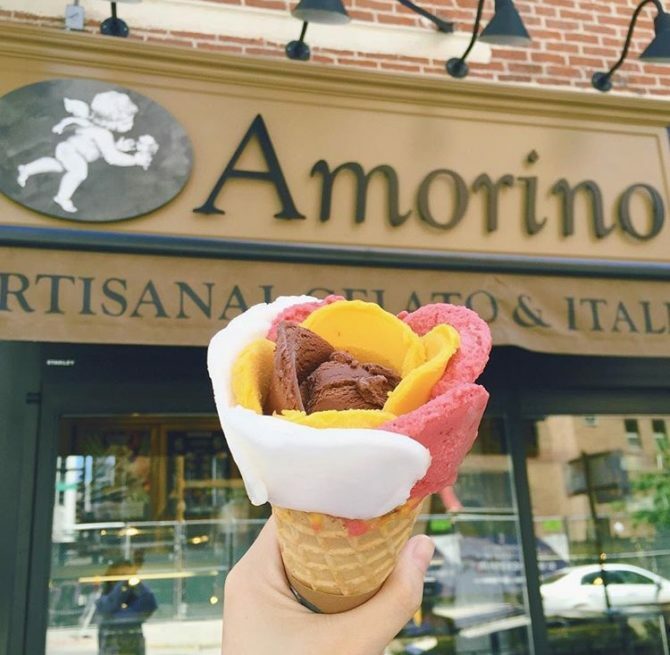 How does anyone respond to a rose-shaped gelato? With a heart eyes emoji. We should all eat more flowers. When this cupcakery opened an ice cream shop adjacent to their store it was all the rage. 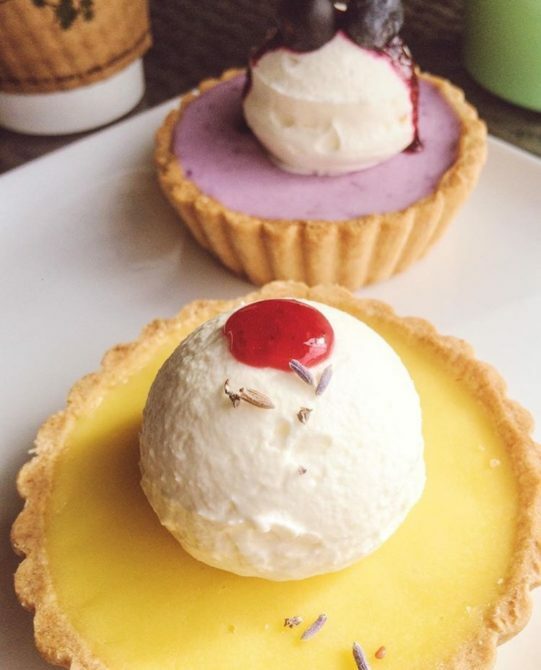 Not only because you can order your cupcake with ice cream is layered between the icing and cake, but it helps. It’s an irresistible combo…Remember, cupcake calories don’t count. 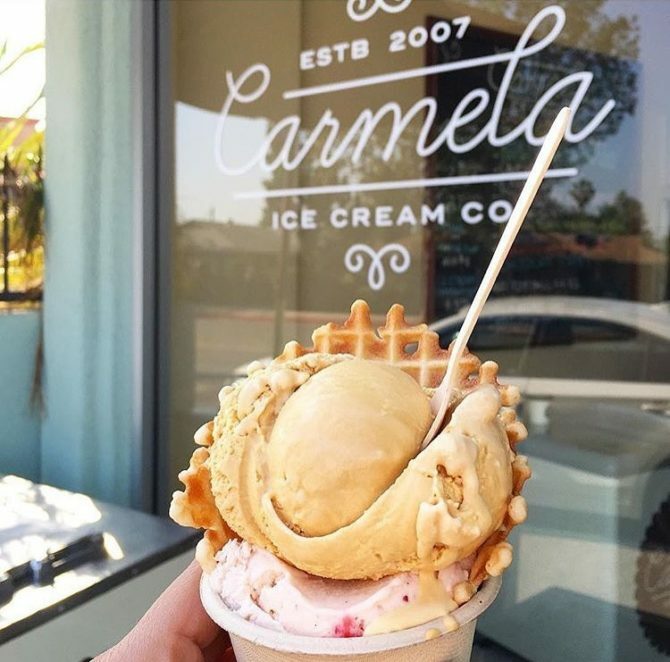 While famous for their salted caramel ice cream, the truly interesting flavors at Carmela are especially worth the hype. Carmela isn’t the only place that serves salted caramel treats, but they are one of the best. 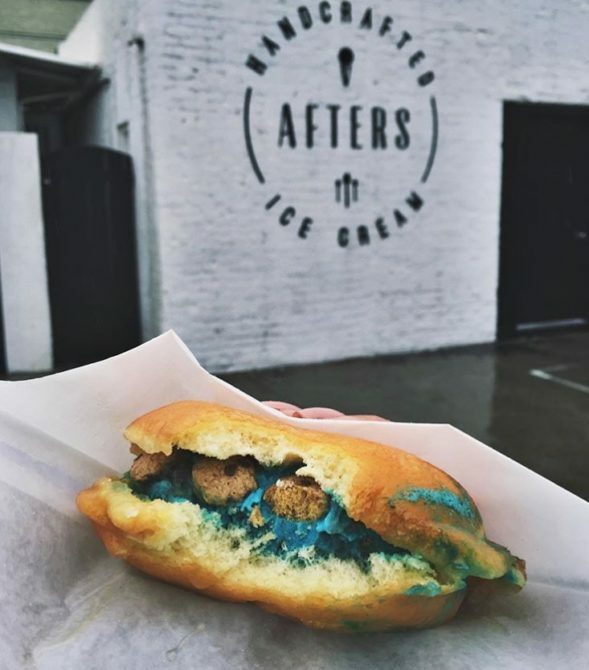 Is that heaven I see or a doughnut stuffed with ice cream? ‘Cause they look the same to me. 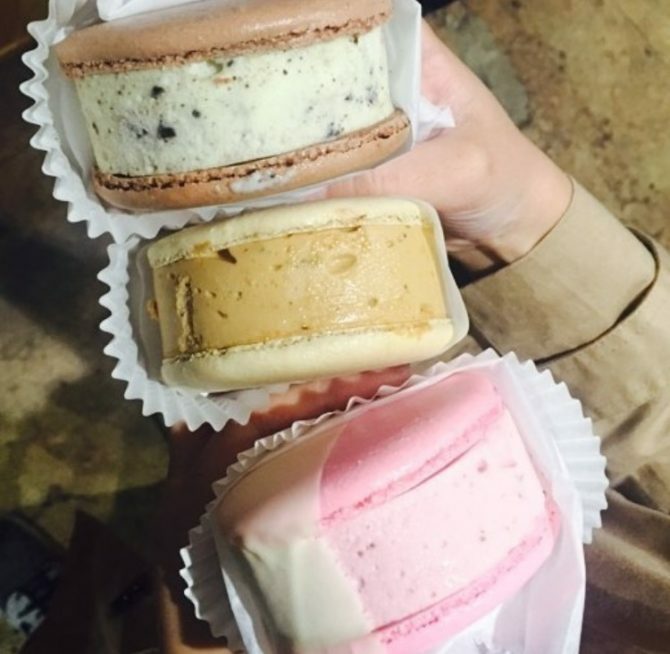 This sandwich is the perfect balance from the thin macaron and the creamy, rich ice cream. But can you truly appreciate their goodness if you don’t try your hand at baking some first? These totally delicious these ice pops come in a variety of flavors including Bananas Foster, Strawberry Balsamic and Mint Mojito. 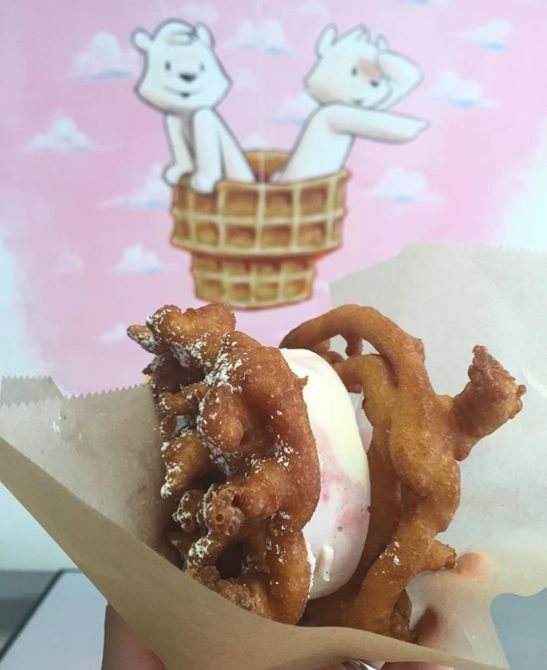 A generous portion of your choice of ice cream nestled between two funnel cakes (offered every Wednesday from 5pm-8pm) should be everyone’s #goals. Why eat actual fruit and vegetables when you can have this? 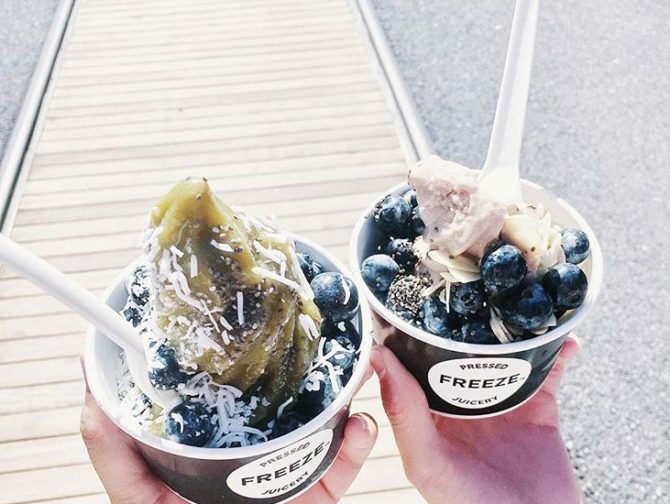 Freeze is a vegan froyo that is equally as delicious as it is healthy. 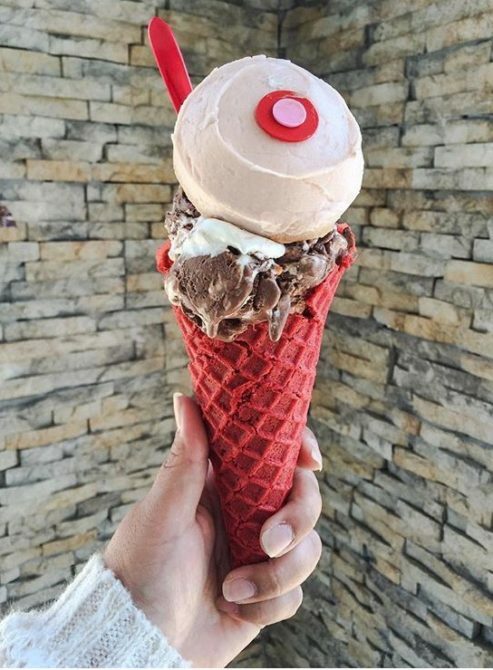 This is not your average ice cream. 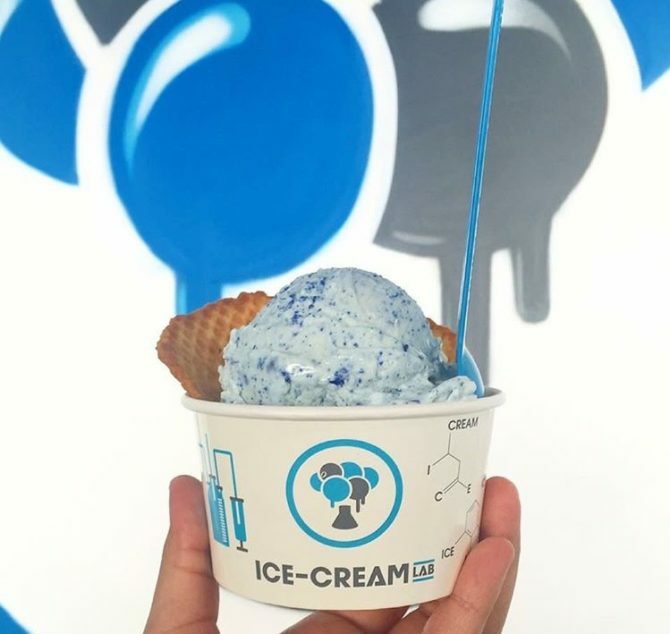 Ice Cream Lab specializes in liquid nitrogen ice cream—they instantly freeze the ingredients in the bowl excluding all preservatives and artificial ingredients. Paletas, paletas and more paletas. If you love paletas you’ll love Mateo’s. 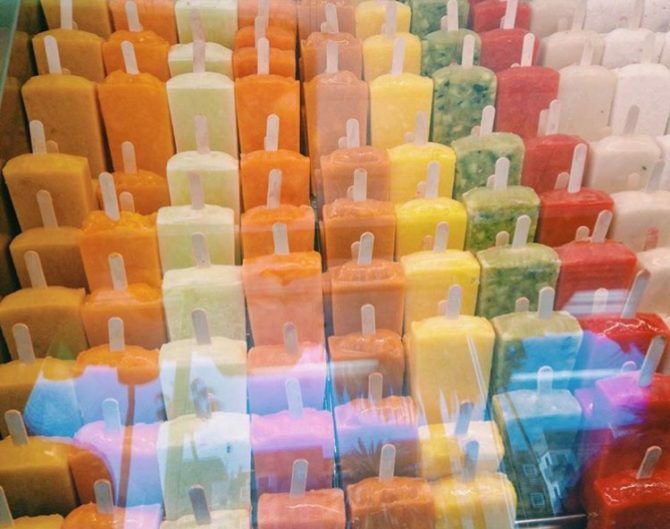 The paletas are made from real fruit and even have chunks of sweet produce inside to bite into. 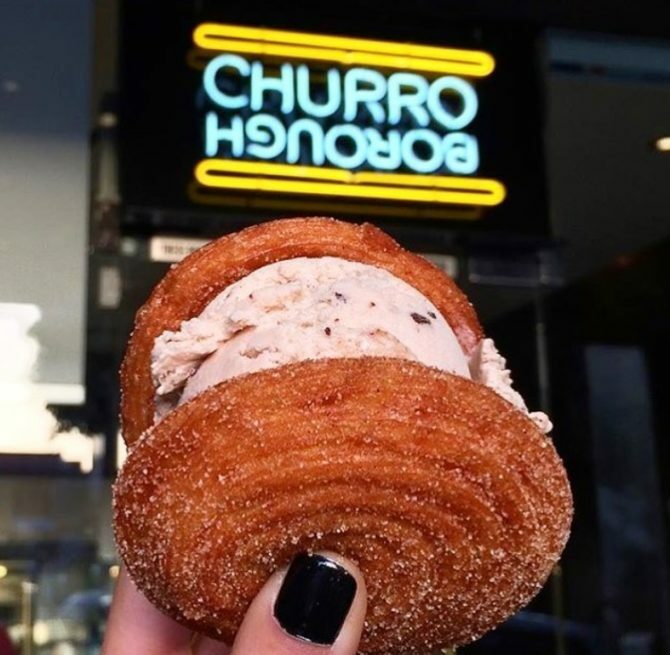 Welcome to the world of unique ice cream flavors like Matcha Green Tea, Spicy Hot Chocolate and Spanish Latte sandwiched between churro “discs.” Not even Harry Potter could create a dessert this magical. 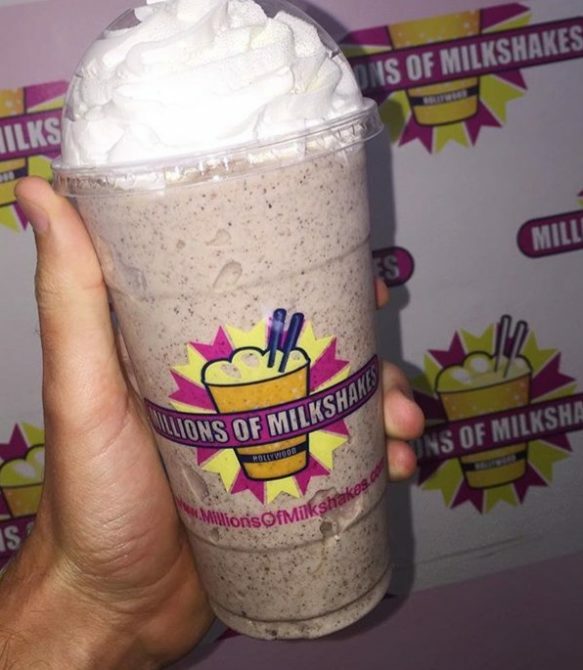 Millions of Milkshakes is a small shop that offers shakes with names like Vivica A. 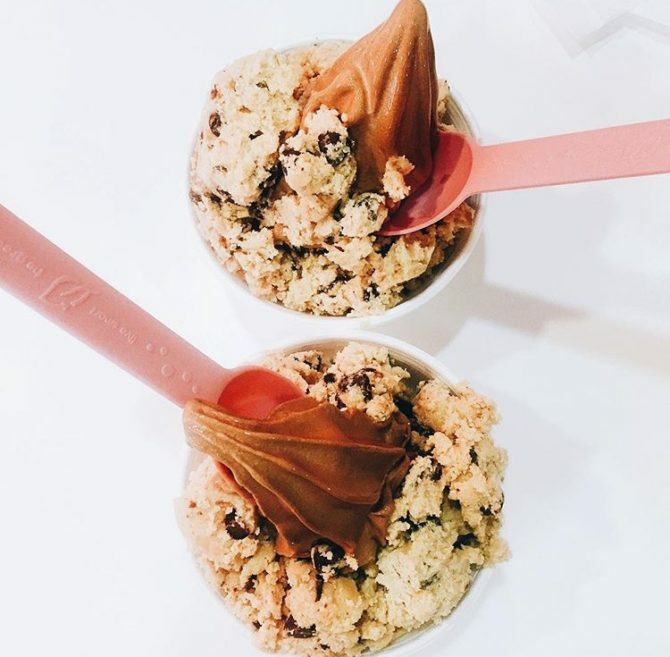 Fox Cougar Crunch and Adrienne Bailon’s “Cheetah Shake.” You can also choose your favorite Kardashian sister or insert yourself in the beef and join team T-swizzle with the Taylor Swift shake. These cookies taste so good they would even make Gordon Ramsey happy, and they come at a price that will make you happy. At only $2 per sandwich, you can fall in love with the fact that they are as kind to your bank account as they are to your mouth. A sandwich shop so good that the shortest wait is 45 minutes. 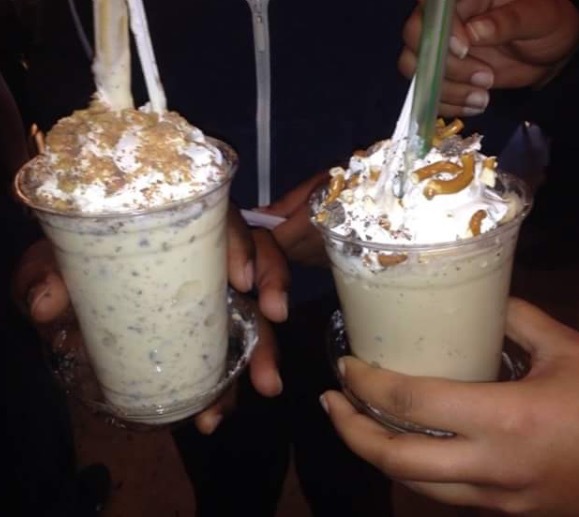 Milkshakes are your appetizer as you wait for the rest of your food, but they’re so good you won’t even care about what’s coming. Ever get annoyed when your toppings are only on the top of your fro yo and the rest of the sweet mountain of yogurt gets no love? Here they put a little bit of fro yo, toppings and then cover the toppings in more froyo. Yes, dreams do come true. Frozen water never tasted so good.